We’re excited about taking part in the Learntec in Karlsruhe, Germany, from 24 to 26 January 2017. The Learntec is Germany’s most important event for digital education. Every year, over 7,250 HR decision makers and IT managers from all over the world come to Karlsruhe to discover the possibilities of digital learning from over 250 exhibitors from 14 countries and to find concrete solutions for learning and managing knowledge. For the second year in a row, we’ll be presenting our learning tool SmarterPath at the Learntec – you’ll find us at booth A43. Unlike traditional learning methods, SmarterPath is a sustainable and future-oriented social learning solution that sees learning as an ongoing process. It’s integrated into existing work processes, thereby becoming an integral part of employees’ day-to-day work environment. Anyone interested in finding out more about SmarterPath or in discussing some other social learning topic, can come and visit us at booth A43 at the Learntec in Karlsruhe, from 24 to 26 January 2017. What’s more, as a Learntec exhibitor, we’re able to provide clients with complimentary tickets to the trade fair. Take advantage of this opportunity and contact us today so that we can send you your ticket. The Pokeshot Team looks forward to seeing you! 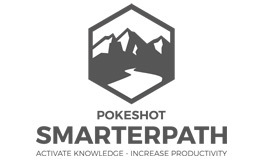 You can contact us at info@pokeshot.eu.